This isn’t really a last bloom as it is a late bloom. 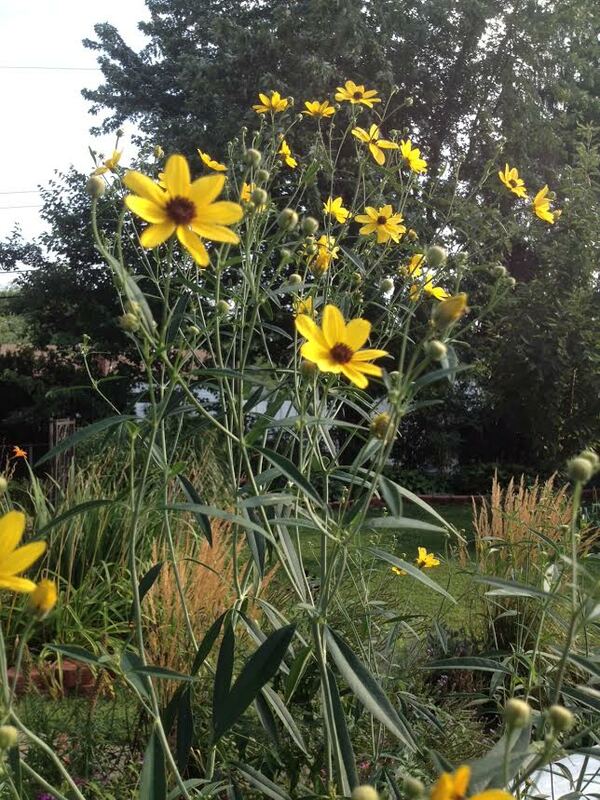 This is a new plant we added this year called sunflower heliopsis. Also called a false sunflower or ox eye. 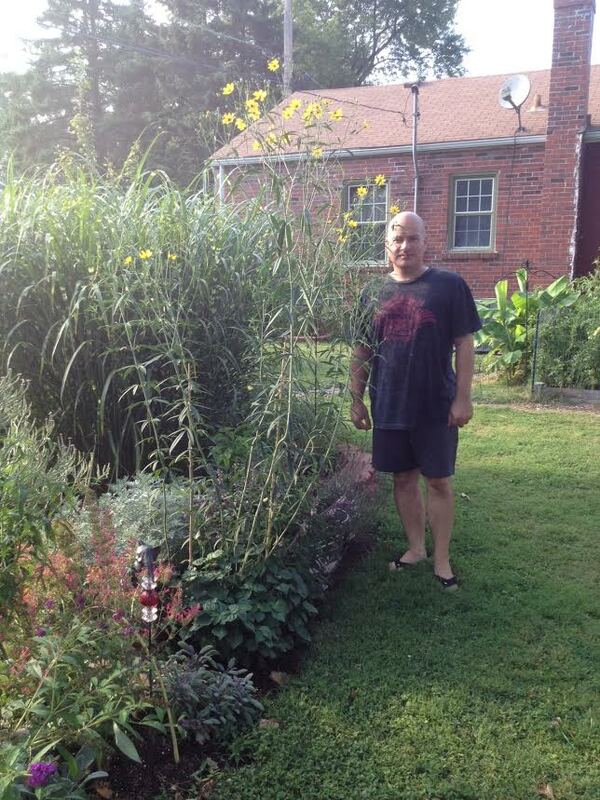 It’s native to Missouri and can grow up to six feet tall. Here’s evidence of that with J standing next and he is just over 5 feet tall.